You've likely heard me proclaim my love of Golden Fawn (review) aka my hands down, favourite eyeliner of all time- yeah, it's that good. As much as I love that shade, the whole Mega Impact Eyeliner lineup is fantastic, so you know I had get in on the new shades. 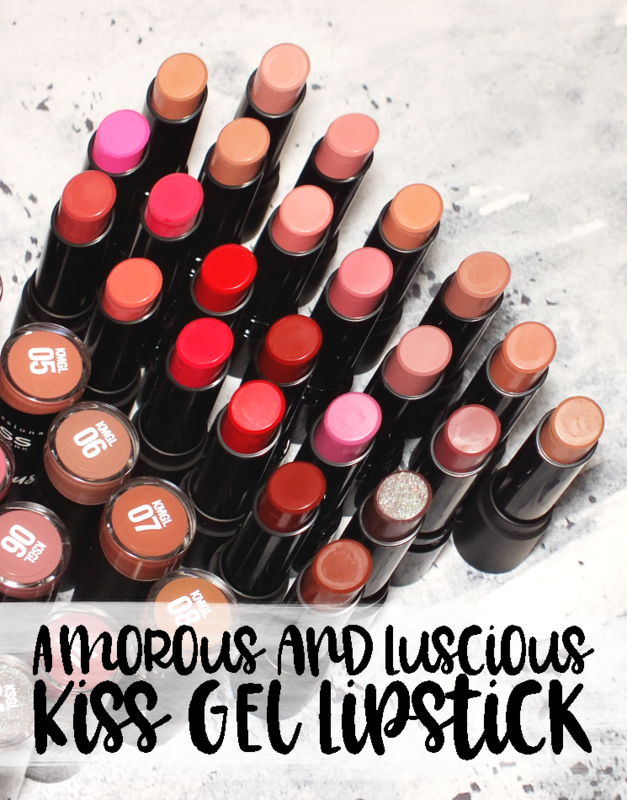 I won't go into a full rave in regards to the formula, as these are just as smooth, pigmented and oh so creamy as the first shades I reviewed (again, here.) 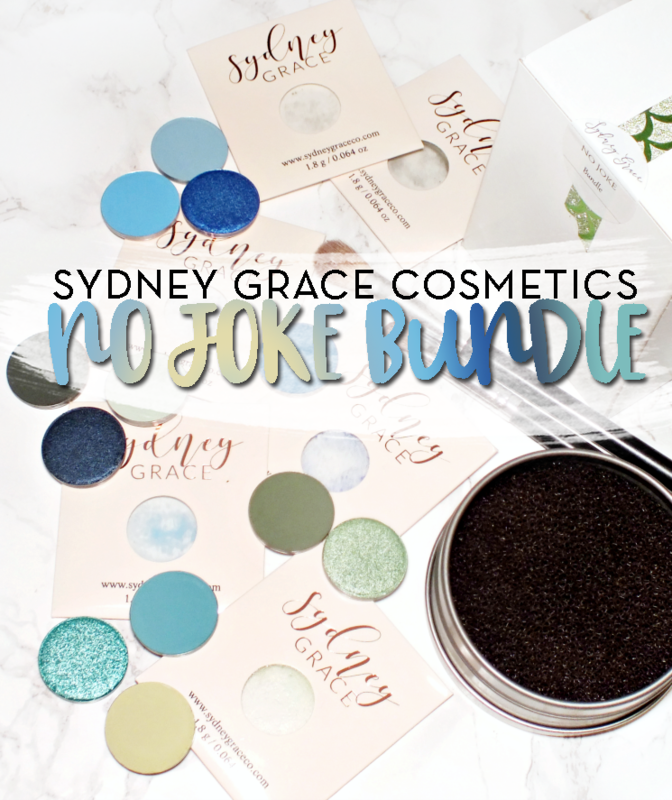 There are four new shades Gray Slate- a shimmering, metallic gray, Sage Shock- a deep, golden flecked green, Rich Copper- a warm, shimmering brown, and Aqua Pop which I passed on, but I bet it is gorgeous too, it's just not a shade I'd get much wear out of. 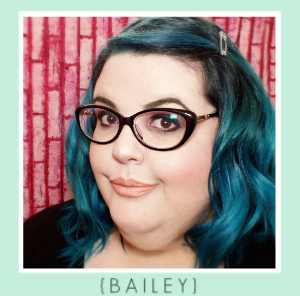 The new shades are the same formula I've come to love, but I couldn't help but notice that two of them looked quite familiar. 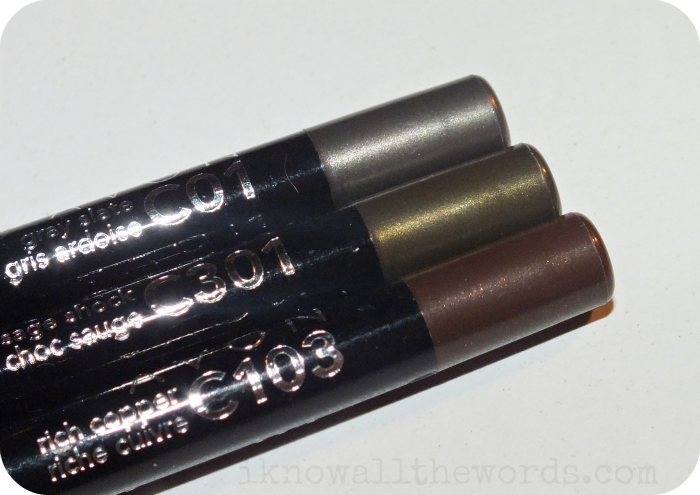 In terms of likeness, both Sage Shock and Rich Copper fit the bill as Urban Decay dupes in my book. 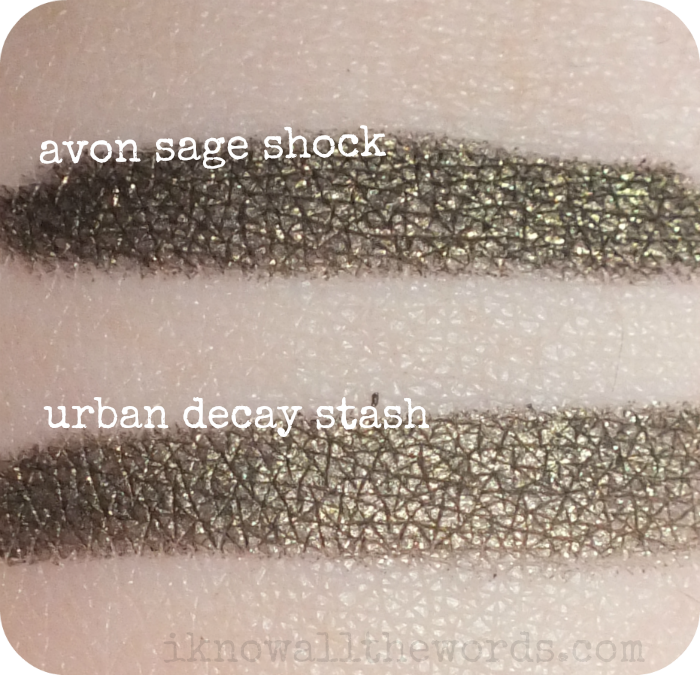 Sage Shock and Stash are almost identical, but Sage Shock is a bit deeper in tone when swatched, but so minutely, it's barely worth mentioning. 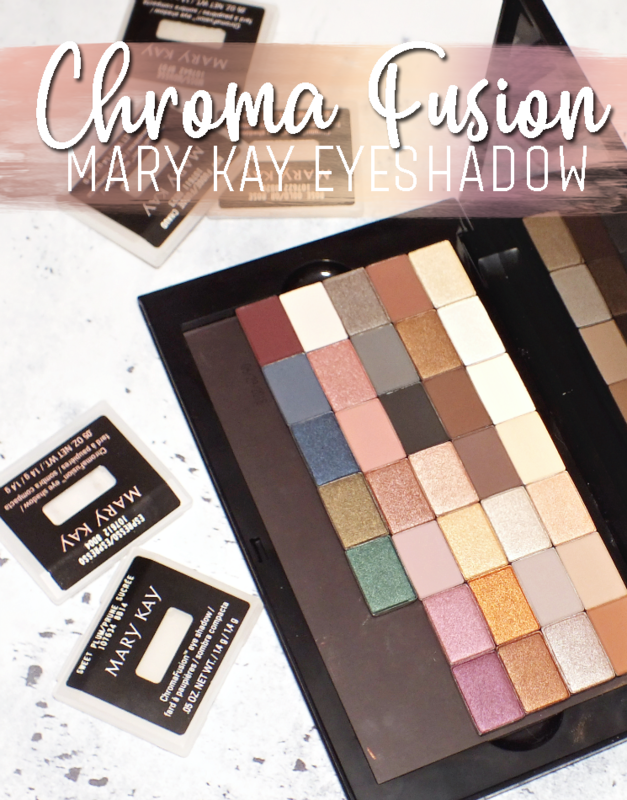 Both have the same golden-olive tone and shimmer. 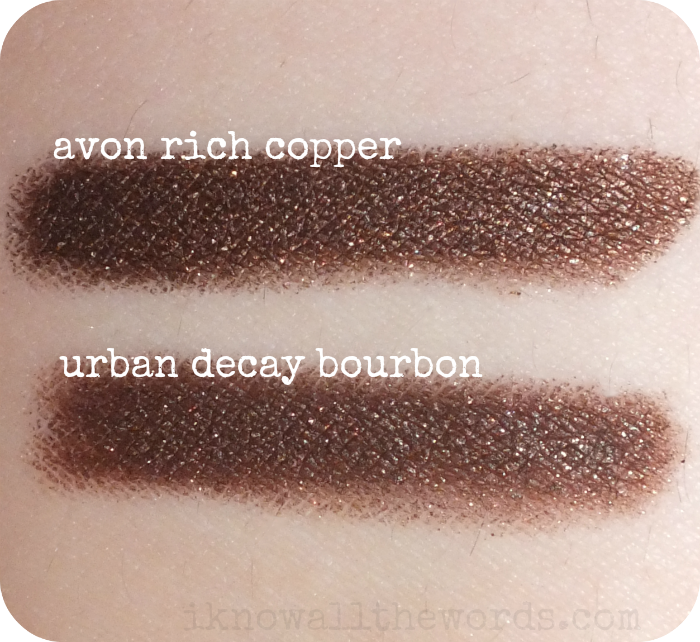 Rich Copper and Bourbon both have the same deep tone and golden shimmer, but Bourbon is just a hair more red in tone. Again, the difference is so minute you'd never be able to tell which is which on. 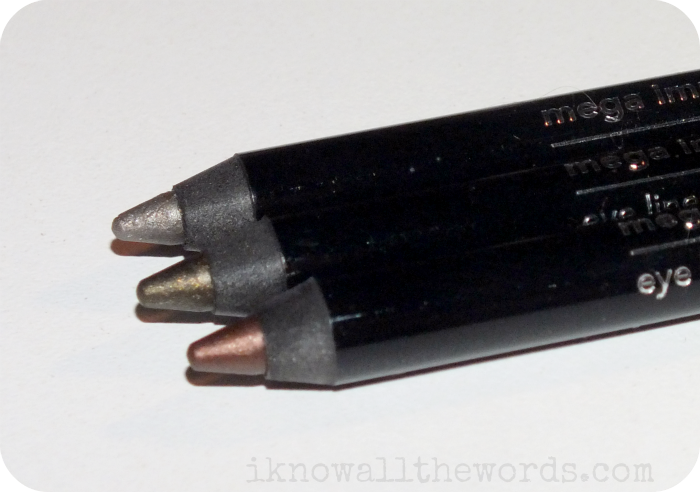 When I first reviewed the Mega Impact liners, I noted how similar the formula was to that of the Urban Decay 24/7 Glide on Pencil, but when I swatched them side by side I realized the Avon formula is acutally softer and glides on even easier than Urban Decay. Crazy?! As much as I love Urban Decay's liners, I'd much rather pay $7.99 than $23, and Avon's go on sale all the time. These were $4.99 when I ordered them. 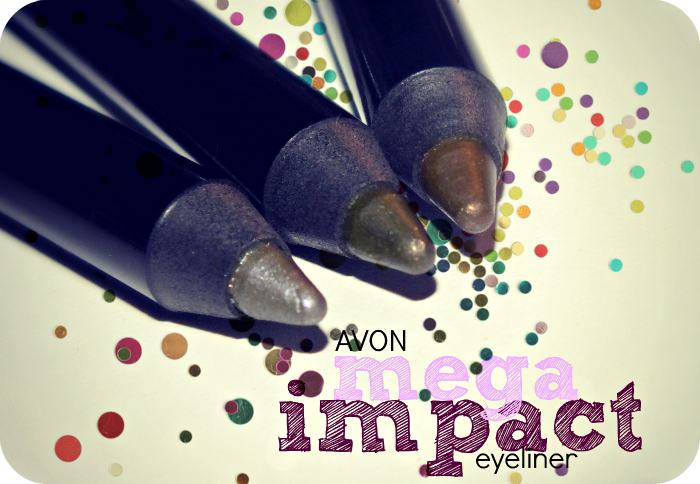 Overall, you really can't go wrong with these amazing liners! I am loving the new shades and will be first in line whenever the next batch is announced. 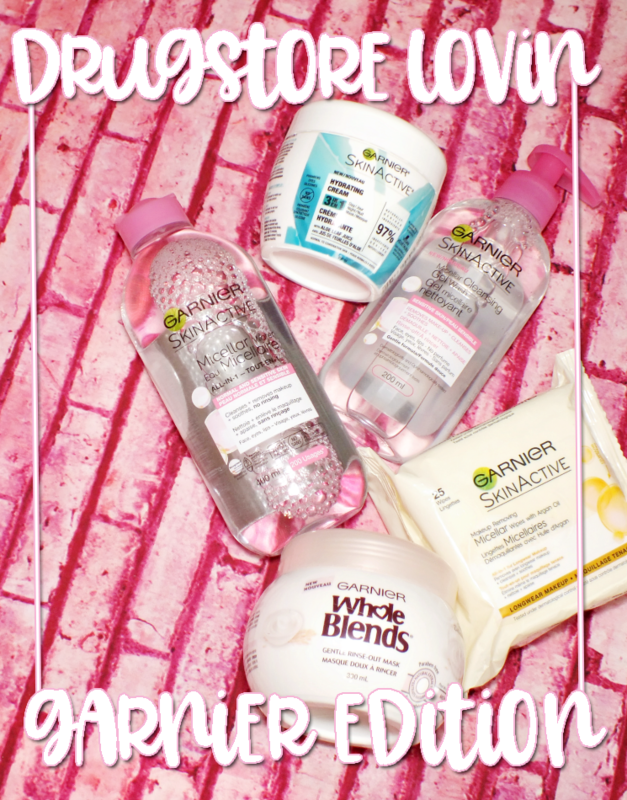 Have you tried these liners? Thoughts? 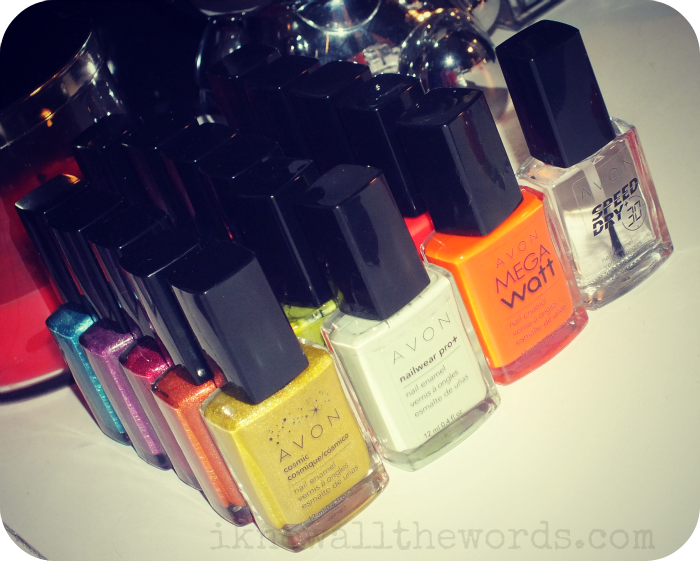 Now, ladies, I am off to start swatching a massive batch of Avon nail polishes. 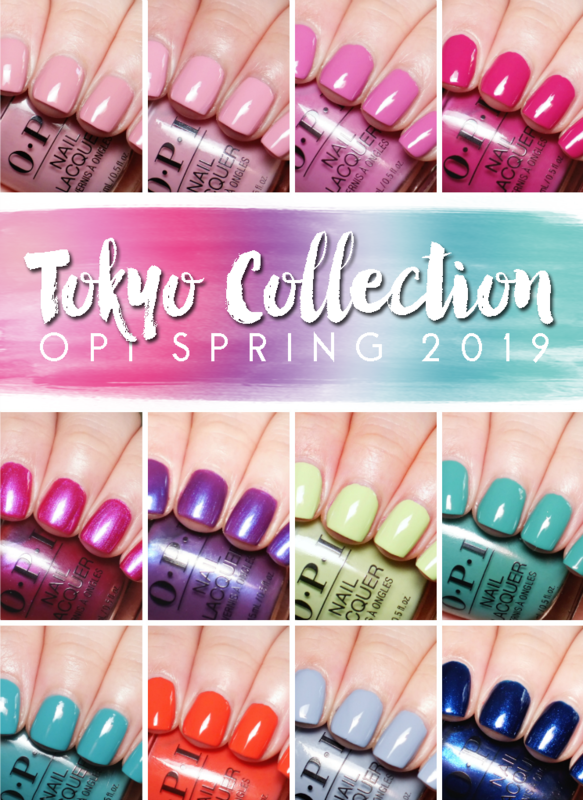 They've been super busy, with three new collections coming out including holos, glass flecked shimmers, neons, and a fast dry top coat to boot. 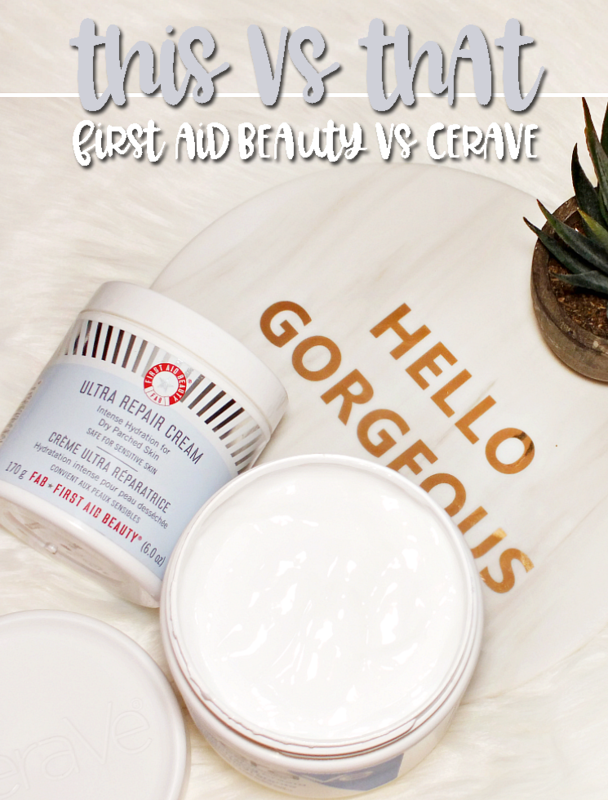 Stay tuned to see more!